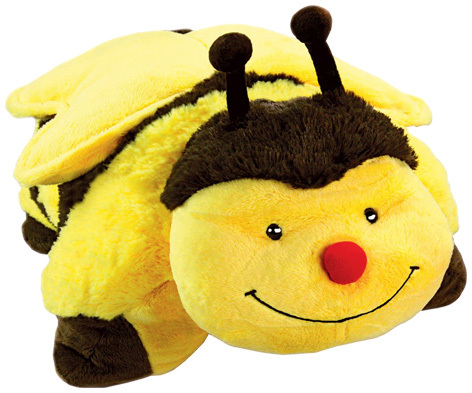 Originally created in 2003, Pillow Pets have increased hugely in popularity and have become the perfect day and night time companion for little girls and boys everywhere. These beautiful folding plush animal designs are still at the heart of the collections which are always being expanded with new characters and styles. The Dream Lites versions can be placed on a bedside table and project a soothing starry pattern onto a child’s bedroom ceiling. Unicorn, zebra, dog and ladybug are just a few of the animal choices. Jumboz are big enough for kids to lie-on and are stuffed with a beautifully soft filling for extra comfort. Some Pillow Pets glow in the dark and provide a soothing companion for children who are afraid of the night time. The introduction of licenced versions such as Teenage Mutant Ninja Turtles and Thomas & Friends add an extra dimension to these popular plush toys.